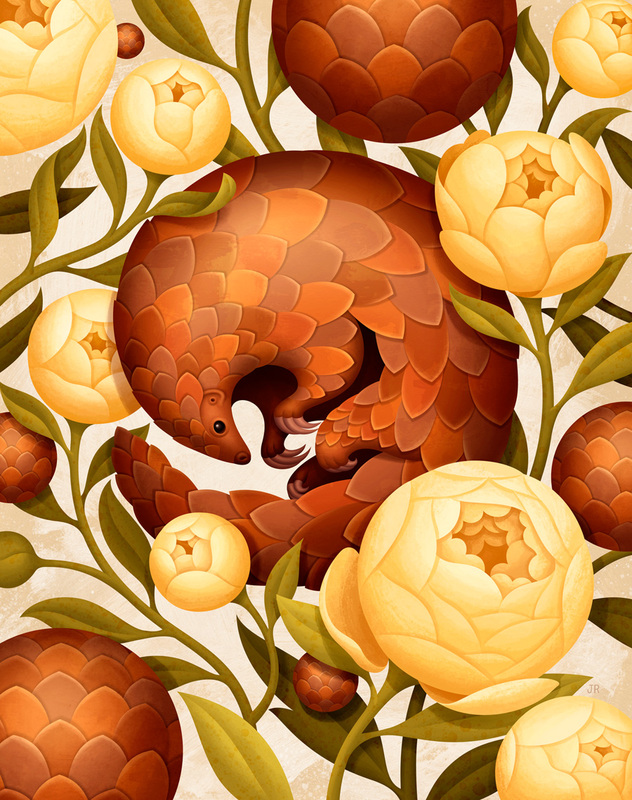 Poster design to help raise awareness about the endangered pangolin population. Illustration to help celebrate Workbook's 40th Anniversary on Twitter and Instagram. Illustration about the hidden reward that results in being still and taking a moment for yourself. Cover illustration for The New York Times business section. Cover illustration for National Underwriter Magazine. Illustration based on the ancient myth of the fire-proof salamander. A cover illustration for UC Riverside's course catalog using the theme "journey". A full page illustration for Scope Magazine's "Success" issue. Feature illustration for an article about rising mortality rates in Dornsife Magazine. Commissioned by Penn Arts & Sciences for a story about robots and how they become a reflection of human nature. A full page illustration about encouraging kids to talk to people with disabilities for Teaching Tolerance Magazine. For a story about the timeless quality of Shakespeare's writing in Penn Arts & Sciences. This was for a story about a robot that is programmed to recognize human emotions. Quarter page illustration for The Smithsonian about the near extinction of the Norwegian Woodrat. For an article in Computer World Magazine about the "hot" jobs in the IT market. Illustration for the Teaching Tolerance Website. A series of posters for Central Market's Summer Beer Festival. A half page illustration on the topic of diversity and how slow the law profession has been to embrace it. For an article in American Lawyer about learning to work with China. A full page illustration for Common Ground Magazine about picking the right community management style. For an article about unpaid interns who won a lawsuit against 20th Century Fox for the work they did on the movie "Black Swan". Spot illustration for Computer World about a lack of motivation that some IT workers have. Full page illustration for a story in Diablo Magazine about the negative effects of smart phones in the bedroom. A two page spread in Teaching Tolerance Magazine for a story about the fallout of a class election. Commissioned by American Lawyer for a story about law firms on the edge of extinction. Intro page for Runners World's "Fall Shoe Guide". A spot illustration for Scientific American Mind for a story about babies who are born with overly sensitive nervous systems. How to embrace your inner nerd and learn not to fear IT. 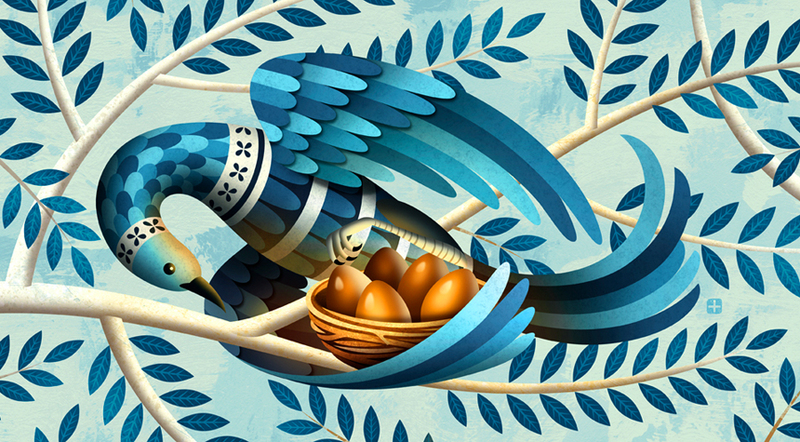 A quarter page illustration for Time Magazine about various states that are helping to support retirement plans. A series of spot illustrations describing various types of gala attendees. Part of a series on getting the message out on global warming. A full page illustration for Runner's World for an article about planning a destination run abroad. How to optimize your search engine, for CIO Magazine. An article for the Children's Hospital Boston that discussed the benefits of children having imaginary friends. An illustration for New Scientist Magazine for a story about getting young children to work with code. This was for a story in Teaching Tolerance about two male penguins who took in and raised a young penguin together. How to evaluate the job performance of a community manager, for Common Ground Magazine. For an article about children that deal with adversity and how that experience can actually help them flourish later in life. A cover illustration for Las Vegas Weekly dealing with the success of introducing online gambling. For an article in Teaching Tolerance Magazine that talks about the benefits of introducing yoga to the classroom. Cover illustration for the 2016 Slow Poke Report issue of Texas Lawyer Magazine. A full page illustration for an article that talked about the difficulties of getting the global warming message out to the world. An article for Smart Money about the difficulties of predicting the success of most investments. A cover and full page interior for Convene Magazine about engaging with your audience. For a Teaching Tolerance article about adjusting the outdated language in dictionaries. Full page illustration for a story that encourages more manufacturing in America. A full page illustration for Boating Magazine about using your senses when buying a used boat.